An immersive and moving account of the devastating EF5 tornado that struck the town of Moore, Oklahoma on May 20, 2013, written by a journalist who grew up in the town. Another outstanding account of recent tornado activity is What Stands in a Storm: A True Story of Love and Resilience in the Worst Superstorm in History, by Kim Cross, which covers the three day super outbreak that struck the Southeast, Midwest, and Eastern United States in April 2011. 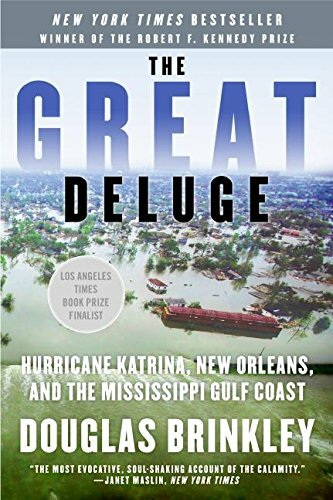 A well-researched and thorough account of the Bush administration’s disastrous handling of Hurricane Katrina, its aftermath, and the human toll. The numerous other outstanding works on Hurricane Katrina and its aftermath include Gary Rivlin’s Katrina: After the Flood, Jed Horne’s Breach of Faith: Hurricane Katrina and the Near Death of a Great American City, Sheri Fink’s Five Days at Memorial: Life and Death in a Storm-Ravaged Hospital, Chris Rose’s 1 Dead in Attic: After Katrina, and Roberta Brandes Gratz’s We’re Still Here Ya Bastards: How the People of New Orleans Rebuilt Their City. 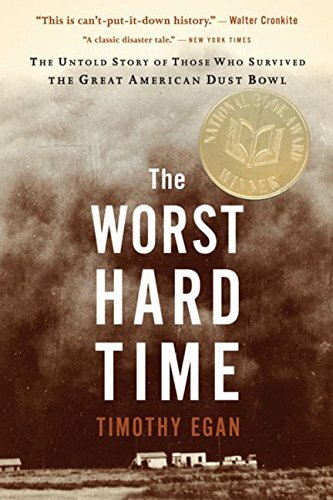 Pulitzer Prize-winning author Timothy Egan’s bestselling account of the Dust Bowl is riveting from beginning to end with its blend of natural and human history. Egan is also the author of The Big Burn: Teddy Roosevelt and the Fire that Saved America, an excellent account of a series of horrific wildfires that swept across three Western states in 1910, changing American public lands policy forever. 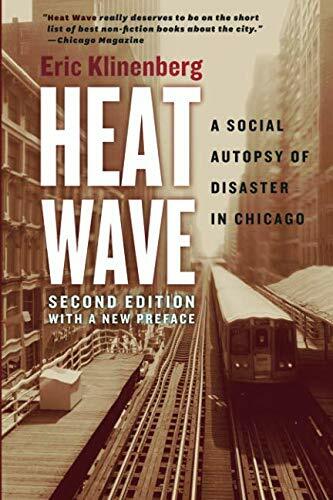 In this hard-hitting book on the deadly Chicago heat wave of 1995, Eric Klinenberg demonstrates that deadly natural disasters are sometimes not so “natural” after all, as he explores the reasons some neighborhoods were hit hard by the heat, while others were not. 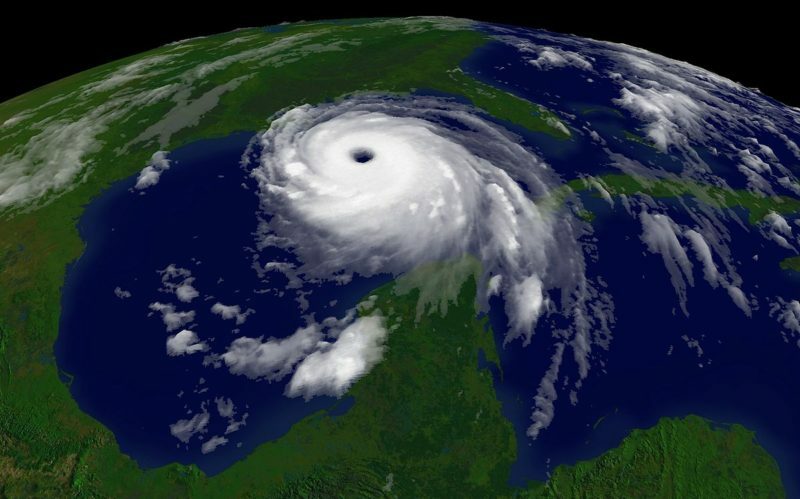 With record-breaking heat waves becoming ever more common around the world due to global climate change, the lessons of the 1995 Chicago heat wave will become more important than ever. 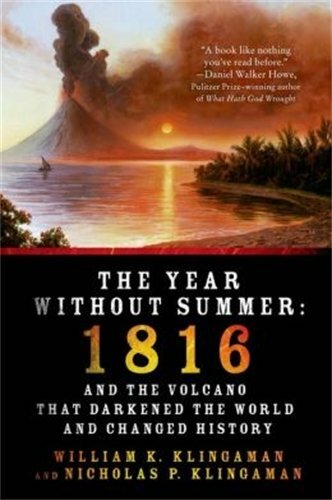 In 1816, an enormous volcanic eruption at Mount Tambora in Indonesia darkened the skies of the world with ash and fumes and led to the famous “Year Without a Summer” that caused devastating famines around the world. 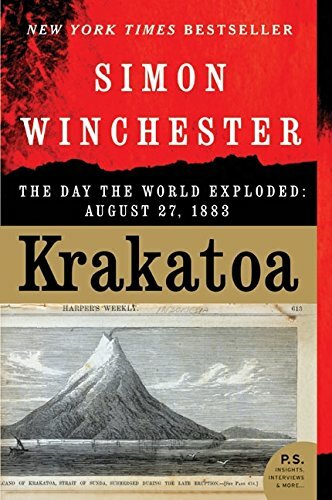 This is a well researched account of the aftermath of the volcano and the many ways in which it affected history, sometimes in surprising ways. (For example, trapped inside due to the poor weather, a bored young Mary Shelley invented the horror novel.) Another account of the disaster can be found in Gillen D’Arcy Wood’s Tambora: The Volcano That Changed the World. 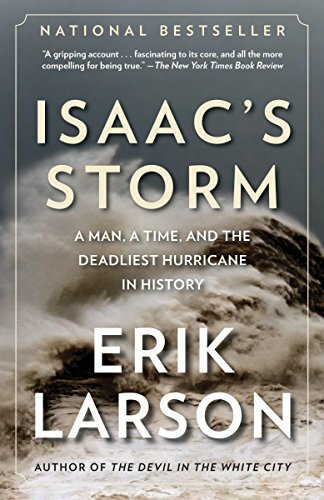 Erik Larson, best selling author of The Devil in the White City: Murder, Magic, and Madness at the Fair That Changed America, turns his pen from the depths of human depravity to the vast indifference of nature in this suspenseful account of a fatal miscalculation before the 1900 Galveston Hurricane, which ultimately claimed 6-12,000 lives and remains the deadliest single day event in United States history. 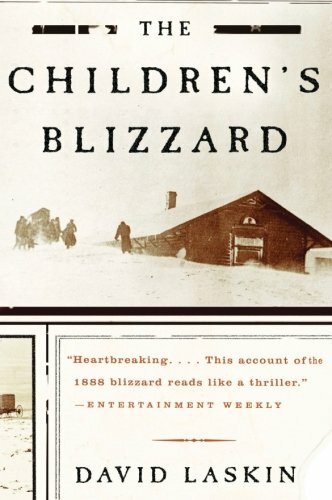 The infamous Children’s Blizzard of 1888, so called because it arose suddenly on a mild day and caught many children unaware as they were walking home from school, affected thousands of early settlers across the Northern Pioneers and resulted in 235 deaths. 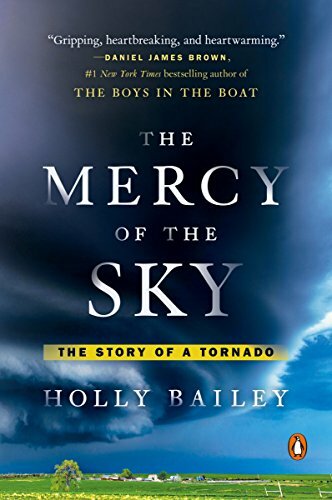 This well-researched and detailed account captures both the human tragedy and the heroism, and includes interesting details about the early Weather Service. Norman Maclean, author of A River Runs Through It, turns his characteristically exquisite prose to the task of memorializing the 13 young firefighters who died in the tragic Mann Gulch fire in Montana in 1949. 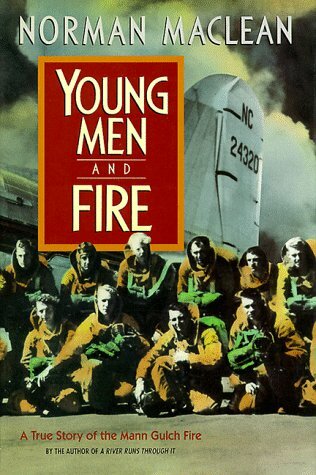 Maclean’s son, John Norman Maclean, later wrote an account of a similar deadly wildfire in Colorado called Fire on the Mountain: The True Story of the South Canyon Fire. 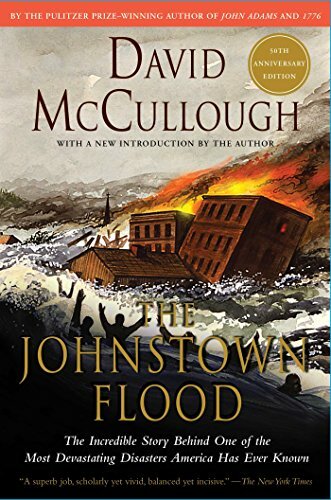 First published in 1968, The Johnstown Flood is the first book by now-bestselling historian David McCullough, and it presents a cautionary tale about human arrogance and complacency in the face of powerful natural forces in its well-written account of the devastating flood that struck the industrial town of Johnstown, Pennsylvania in 1889. Another excellent account of a largely forgotten disaster is Geoff Williams’ Washed Away: How the Great Flood of 1913, America’s Most Widespread Natural Disaster, Terrorized a Nation and Changed It Forever, about a storm that caused flooding across 14 Eastern states in March of 1913. The VEI 6 Krakatoa eruption of 1883 was one of the most powerful volcanoes in recorded human history, and was followed by an enormous tsunami that killed tens of thousands. Simon Winchester provides a fascinating account of the disaster in this bestselling book. Winchester has also written books about other natural disasters, including the devastating San Francisco earthquake of 1906.